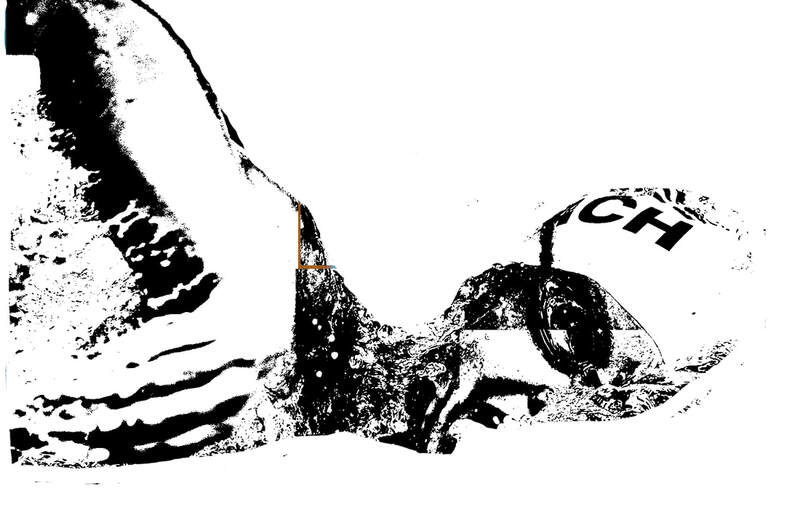 so first I started by going online and found a picture of a swimmer, then I saved it and put it in photoshop and and started to trace the swimmer and making some details like the swim cap, the goggles are going to be a separate layer for the final project, and the arm, then I used threshold to make the picture black and white, the black is what burns and the white is what stays the same. Durning my process with laser cutting my goggles I had some problems with the circle of the pair of goggles because as you can see on the 5th picture above this the goggle strings broke apart from the rest of the piece and it happened twice and that happened because where the goggle string and the circles of the goggles connected was so thin so I had to go back into photo shop and make it thicker. All I need to do is laser my googles for a third time and also cutting out the back and the quote and glue it all together and i'm done. 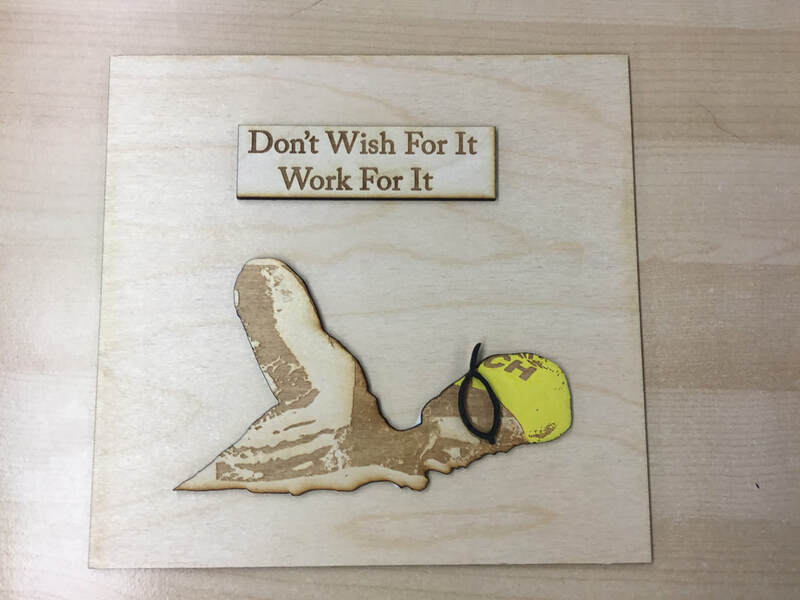 1) My favorite parts of this class was the laser cut because even thought it was challenging I liked it.